Ricki Criswell Skincare and Waxing Studio is a skin care salon that specializes in customized skin, facial services and hair removal. Our highest priority is working with you to achieve the desired results, whether it is taking care of your skin or removing unwanted hair. We are known for our warm customer service and personal attention we give to each and every client. It doesn’t matter how old you are, everyone’s skin requires proper care for it to look its best. The truth is, everyone’s skin is different, so no two treatments can be exactly the same. Whatever the case may be, a professional skincare evaluation and session is the key to unlocking clearer, brighter, and smoother skin! 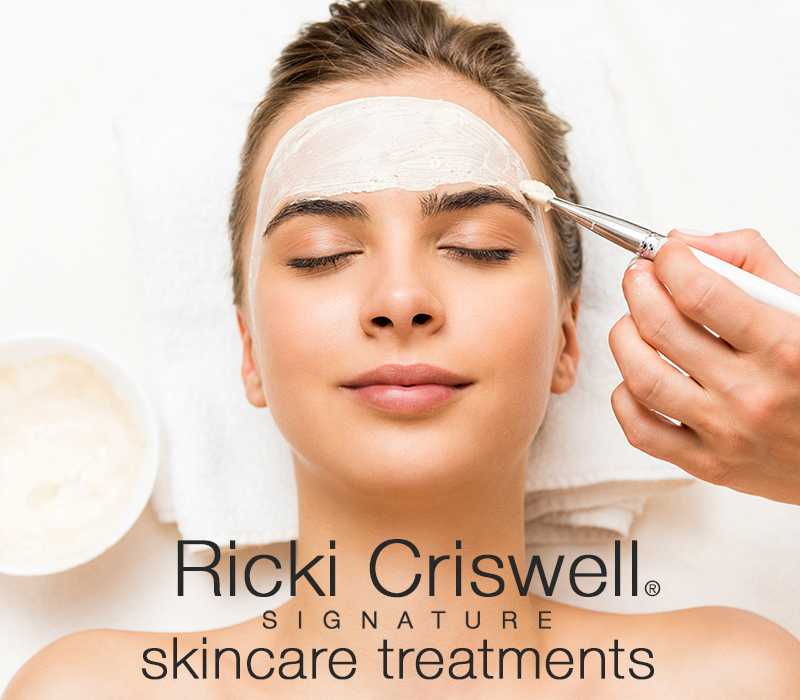 At Ricki Criswell, we offer varying levels of treatments to suit your skincare needs. As always, every service will start with a consultation so that you can discuss your current concerns and skincare goals. Your esthetician can help you to select which skincare treatment that is best for you. For more information we invite you to visit our Skincare Services page. At Ricki Criswell we perform all of our waxing services with the utmost care and consideration. Our estheticians are expertly skilled in face and body waxing. We use blue french hard wax, sugaring, and or soft wax. We offer three different types of wax for your preference.. All of our waxing services are performed hygienically by employing a strict “no double-dipping” policy. Please Note: Facial waxing is NOT recommended for clients on Accutane, Retin A, Tazorac, Differin, or who have recently had chemical or laser peels. If this applies to you please inform us so that we can discuss alternative options. For more information we invite you to visit our Waxing Services page. 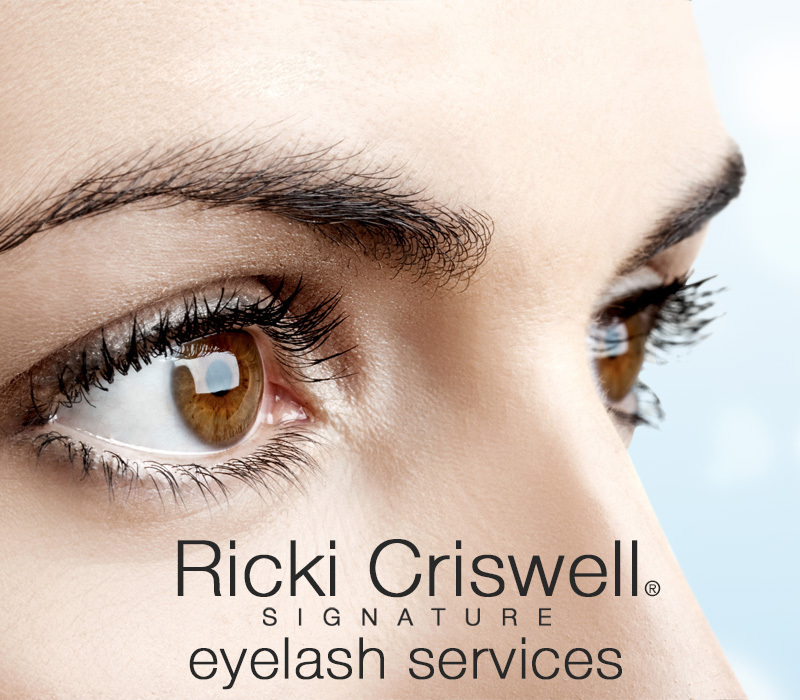 Ricki Criswell promises to deliver to each individual client the best Eye Lash extension experience: First, a consultation between the client and our eyelash stylist to assess the distinctive eye shape, the quality of the natural lashes and the skin tone. Various lengths, curvatures and widths of lashes are carefully selected to create each custom set of eyelashes for you. All our stylists are highly trained and meticulous with ensuring exact symmetry with every applied lash, crisscross lash application is not tolerated. The adhesive used is medical grade and FDA approved. For more information we invite you to visit our Eyelash Services page. 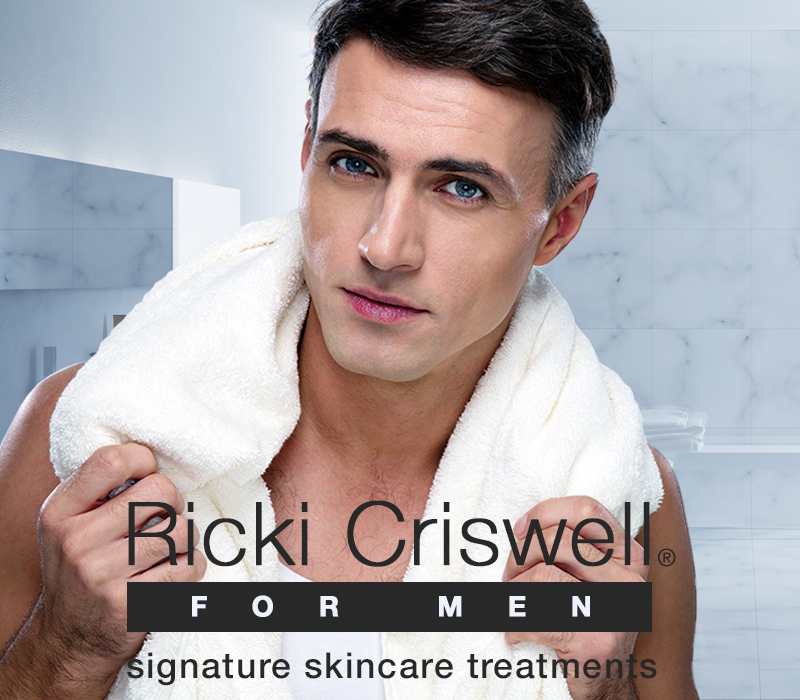 Since 1989, Ricki Criswell has been focused on providing her clientele with more than just great services and products; she has introduced them to a lifestyle and philosophy that has women and men caring more about their appearance and well being. As a teenager, Ricki spent many years seeking help from Dermatologists to deal with her own issues with her skin, and although they were able to suppress the most serious problems with antibiotics, her skin was never cleared completely. After years of continuous frustration, Ricki decided to take her battle with acne into her own hands, finding her life’s passion by studying to become an Esthetician. Her studies lead to her hosting her own private glycolic acid skincare parties, one by one helping her friends find their own way to healthier and more vibrant looking skin. This lead to her opening her first Ricki Criswell Skincare Salon, which thanks to the dedication of her staff and continuous attention to developing her service, has blossomed into the growing brand that it is today. 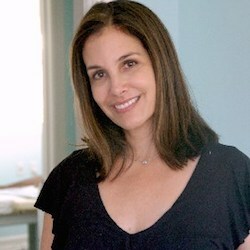 Through it all, beyond all of the services that she offers at her Salon, Ricki has dedicated herself to educating her clientele on the proper ways to care for their skin, while focusing her efforts to develop her Signature skincare products to help people of all ages, treat their own issues with their skin. After over 30 years in the skincare industry, Ricki Criswell is pleased to announce the launch of her Ricki Criswell Signature Skincare Collection. The Collection was developed for three different areas of skincare focusing on products to combat dry skin, anti-aging, and acne defense. These are the same products that Ricki uses in her Skincare & Waxing Salon, that are now available to the public. After over 30 years in the skincare industry, Ricki Criswell is pleased to announce the launch of her Ricki Criswell Signature Skincare Collection. The Collection was developed for three different areas of skincare focusing on products to combat dry skin, anti-aging, and acne defense. Shop Ricki Criswell’s Skincare Products!